steal your personal power and confidence? FREE CHECKLIST - "Stepping out your comfort zone"
Are You letting the past rule your decisions and steal your personal power and confidence? Obtain Free CHECKLIST "Stepping out your comfort zone "
Welcome to my site! I’m so excited that you decided to check me out and I hope you will take advantage of any downloads or whatever resonates with you. I am passionate about supporting, encouraging and inspiring your personal power and ability to live the life you want to live. Free of negativity, emotional pain and the damaging effects of toxic relationships, abuse or trauma. This site is for Courageous women who enjoy a bit of success but sometimes still hear the self judgements and doubts that stifle your voice, make you feel out of control or lose confidence. For women who have the courage to seek deep understanding of their behaviors, willing to take responsibility for their growth and want to invest in changing their lives for good. I am on a mission to help. It is within your power to discover your true self, pull yourself out of boredom or emptiness and to change those thoughts in your life that still hold you back. Self-doubt, lack of clarity, self-confidence, and feeling out of control are all painful states that stop you when attempting change or responding to a crisis. It can be a struggle to feel heard or valued and to make way for connection to your power, creativity, inner strength and “dream” success. Live with confidence in your decisions, your actions and your choices. Veronica Crystal Young, ACC is the Transformation "Know Your Power" Courage Coach who teaches successful women how to shift the negative energy hold of the past, and master handling crisis, change and fear to experience a more fulfilling, confident and powerful life. By applying her over 25 years of Executive and Creative real-life experiences to her credentialed leadership coaches training, Veronica helps transform the lives of women who want to have a voice, silence destructive self-judgements, feel confident and in control of their lives, despite their outward appearance of success. She helps them transform their lives and bring their talents and gifts to the world, make an impact, follow their purpose, and create free and abundant lives, despite their age or past trauma, abuse or perceived failures. 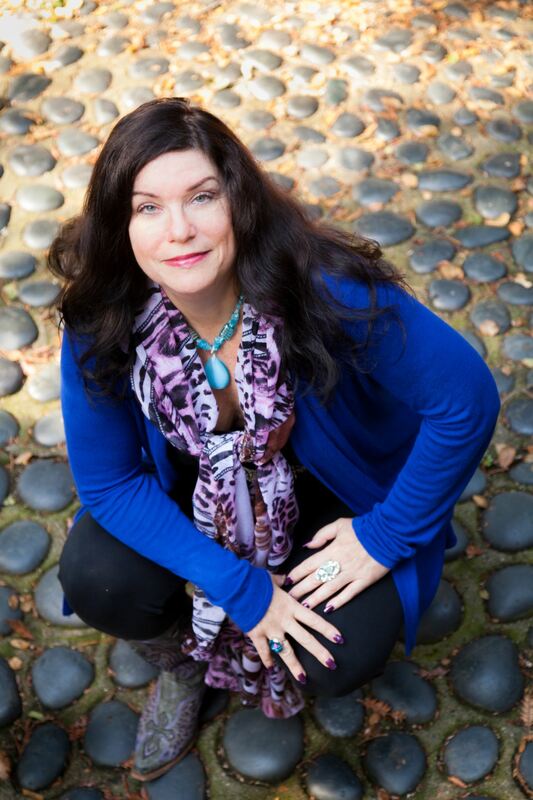 She is the creator of the premier one-on-one lifestyle coaching program Reinvention Intention Strategy, and the introductory coaching package "Critical Courage." The #1 goal of this group is to support, encourage and inspire one another as we experience change or reinvent our lives, infuse passion and take powerful action towards our goals. This is a safe, fun and collaborative space to express yourself and reveal passions and dreams, experience support, gather and share inspiration & encouragement, and ask for accountability if that is what you need to take that leap of faith and take action towards your unique gifts and greatness. You will be encouraged to inspire, collaborate and share your ideas, wins, challenges, and choices you make for your life and dreams. Step out of your comfort zone into your POWER. It’s time! & Inner Strength And Connect To Joy, Fulfillment and LOVE. © 2019 Veronica Crystal Young - Crystal Eyes Coaching. Subsidiary of Crystal Eyes Enterprises L.L.C All Rights Reserved.